In late August, Healio reported that the Department of Defense has awarded a contract to Stryker for hip and knee implant packages. The contract is for hip and knee implants, instrumentation sets and auxiliary products and it is valued at $85,469,865. The contract reportedly represents an agreement that sets pricing so the military can access needed products, but there is no guaranteed purchase amount required by the agreement. While the contract will allow the military to access products and services as required, it is important to ensure that the hip and knee replacement products being offered to the military are safe. Our Boston Stryker implant lawyers know that there have been myriad problems with Stryker hip implant products in the past, with the problems so severe that a recall was actually required of the Stryker Rejuvenate in 2012. Hopefully, any future products provided by the company as a part of the contract with the Department of Defense will be safe products that live up to the manufacturer’s promises. Stryker produced the Rejuvenate hip implant system as an alternative to traditional hip replacement products. Stryker marketed its products by promising that they would last longer and offer a better range of motion by allowing for more customization of the replacement joint. With most hip replacement devices, there is one stem that fits inside of the femur and one head that goes on top of the femur to replace the patient’s damaged hip joints. The Stryker Rejuvenate offered multiple heads and stems to chose from in order to make it possible for doctors to customize the hip replacement device to the individual patient. Unfortunately, not only did the Rejuvenate fail to live up to the promise of being a better and longer-lasting alternative, it instead began to cause serious complications for patients. The Stryker Rejuvenate has a high failure rate, leaving many patients needing additional revision surgery within just five years of the initial hip replacement surgery. The Stryker system also can cause complications such as bone breakdown; tissue health; and a toxic build-up of metal in the body called metallosis. Because of the serious problems, Stryker recalled the dangerous hip replacement product in 2012. Unfortunately, this was too late for the many patients who had undergone a hip replacement surgery and who were already experiencing complications or were left in fear that they will soon start to experience problems. Stryker never should have released a dangerous hip replacement product onto the market and the problems that were uncovered once it was sold to the public should have been discovered during pre-market testing so the issues could be corrected or the patient’s warned. The fact that Stryker did sell this product that turned out to be dangerous is an indicator that the manufacturer likely breached its responsibility to keep the public safe. While lawsuits are still pending and the extent of Stryker’s liability for injuries as a result of the Rejuvenate product is still unclear, one thing is certain: dangerous and defective medical products cause serious harm to patients. Hopefully, all the medical devices that Stryker is offering as part of its new contract with the Department of Defense will have been carefully tested and will not later turn out to cause unexpected side effects or complications for those who have hip and knee replacement surgeries. 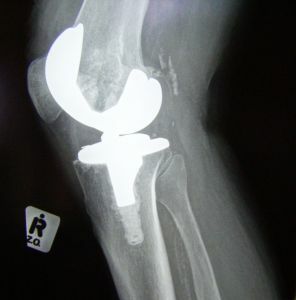 Canadian Institute for Health Looks at Hip Implant Failure Rates, Boston Personal Injury Attorney Blog, July 23, 2013.